Well. Today was a normal Friday, just like any other Friday. Until arriving home. 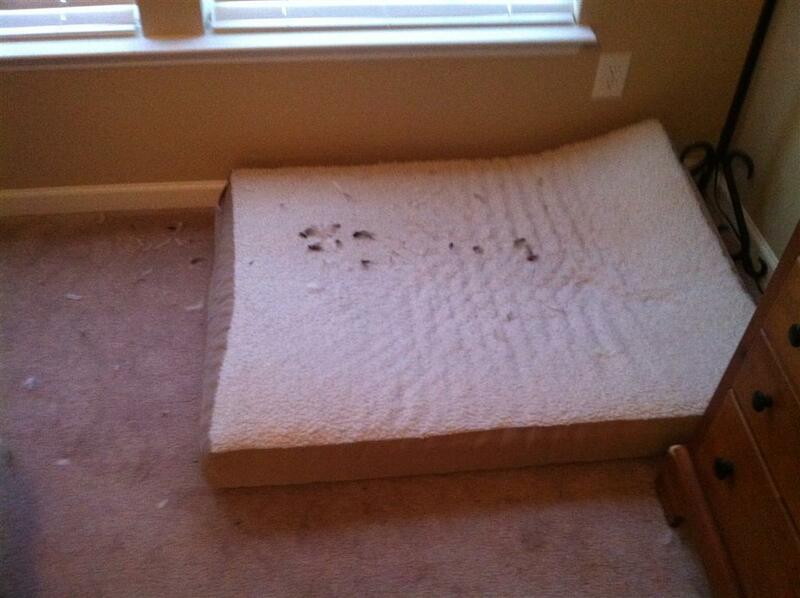 The first indication that something horrible happened was the doggie bed. What the heck are all these feathers? Oh my gosh, what happened!? They're everywhere! 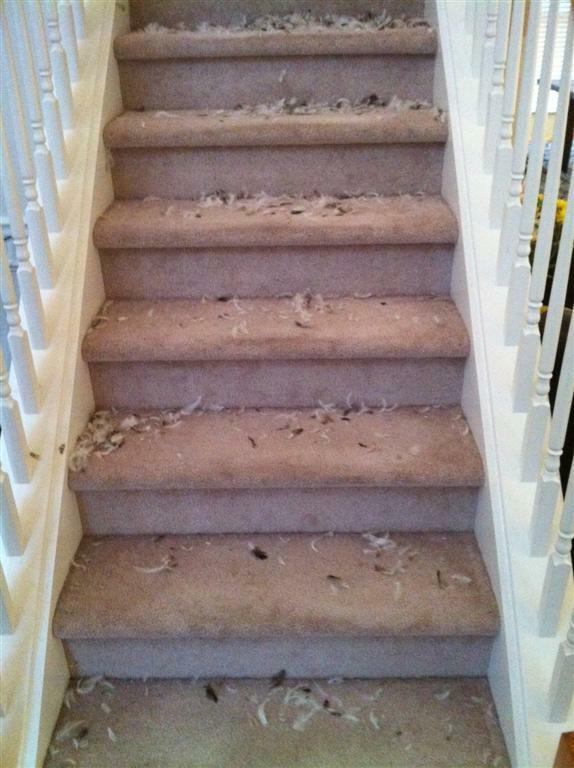 Looking downstairs, even more feathers. What the heck happened? And, after turning the corner…. 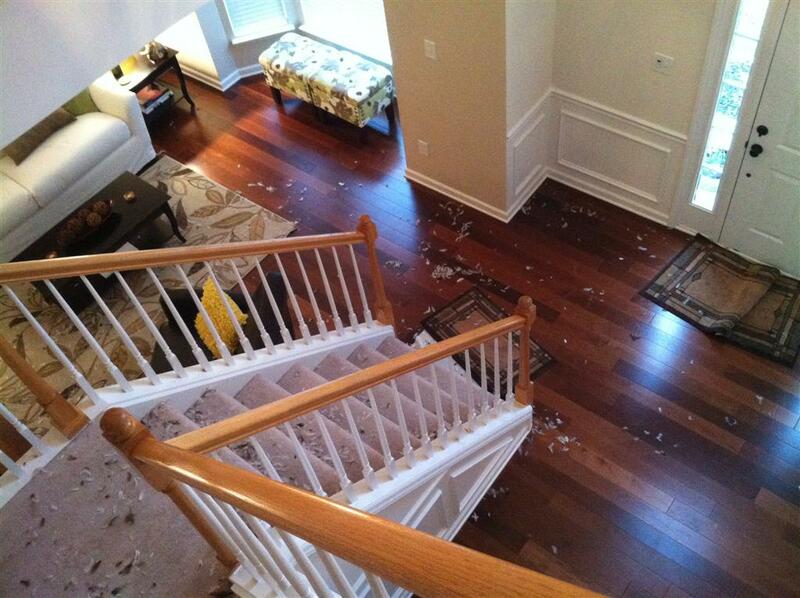 It looks like a flock of geese got into our house and the dogs ripped every one of them to shreds. 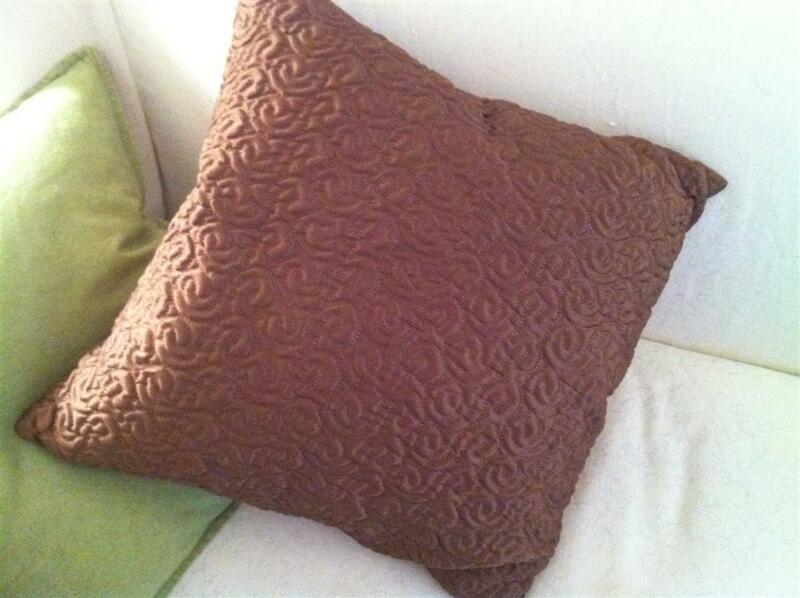 Our cute little Jack and Ginger took one of our BRAND NEW DOWN PILLOWS and had fun. 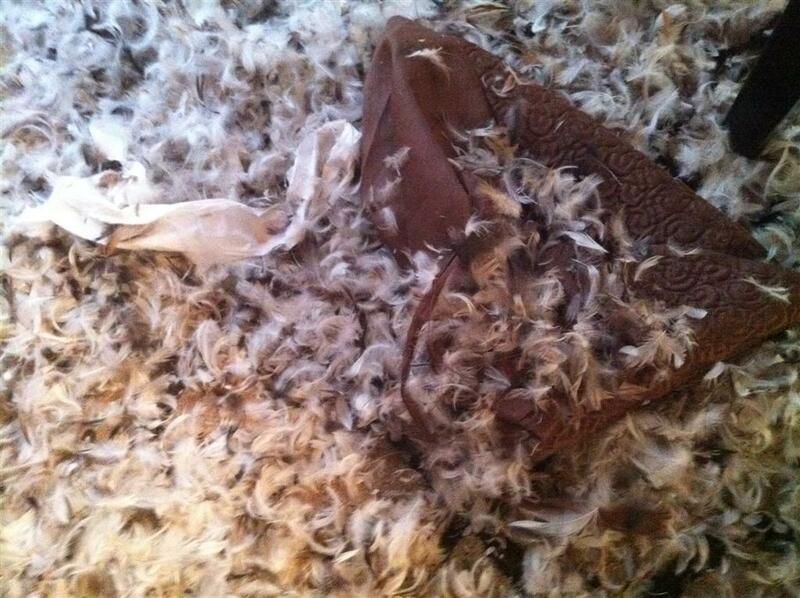 After about an hour of cleanup, we checked the label on the pillow, and it casually mentions that there were 33oz of duck feathers. 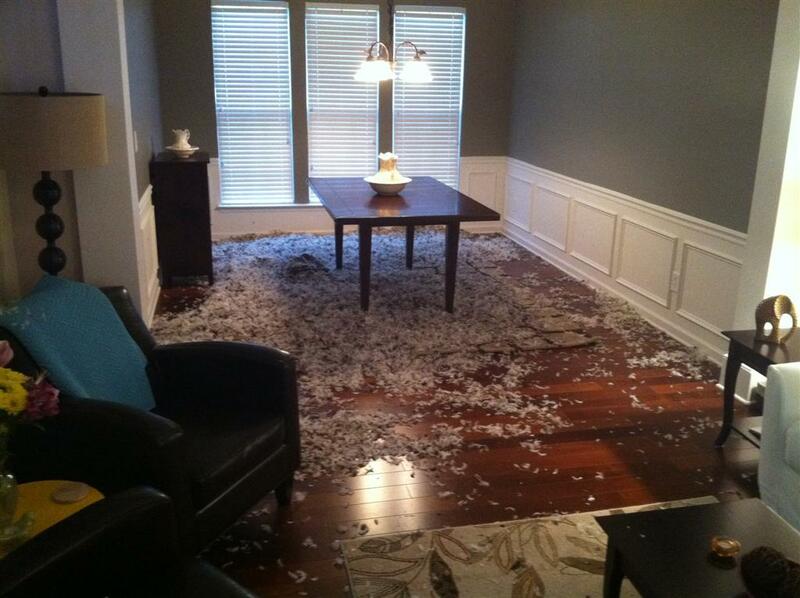 Holy crap, that’s a lot of feathers. 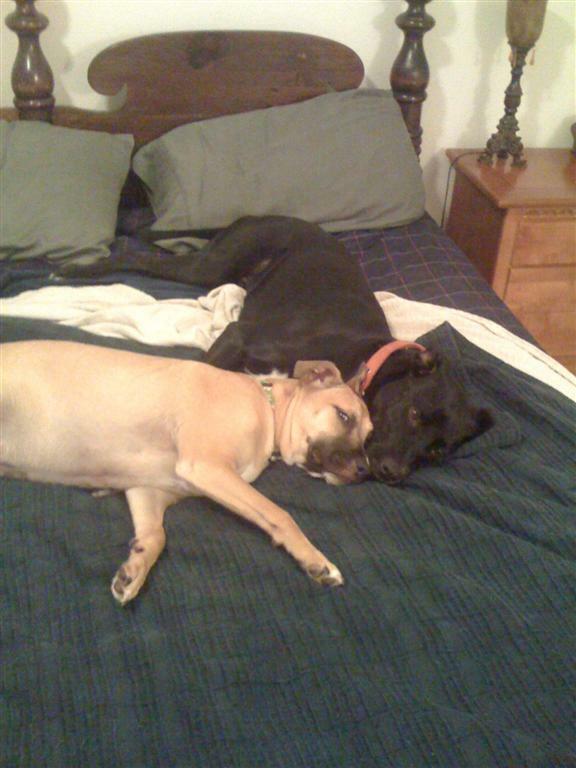 Hey, were are those pups, anyway. I bet I know where they are. THEY'RE UPSTAIRS TRYING NOT TO LOOK GUILTY!!!!!! We were SO mad at them…for about 5 minutes. Then, their cuteness won out, and we all exchanged puppy hugs. This entry was posted on Friday, September 16th, 2011 at 7:00 pm and is filed under Wings. You can follow any responses to this entry through the RSS 2.0 feed. You can leave a response, or trackback from your own site.